How difficult is IELTS? | IELTS easy or difficult? 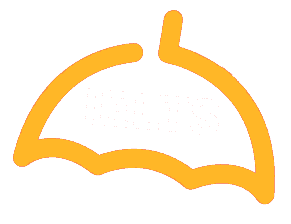 | IELTS is easy or PTE? 23 Nov How difficult is IELTS? English is one of the two official languages of India, as asserted by the Constitution of our country. And yet, about 87% of the people of the country does not speak the language. More than half of the 13% that know and use the language are not confident. Should we blame our education system, the three language formula, our social circle or something else? We are not sure. For the most of us, English is a difficult language. We often shy away from speaking it, for the fear of making mistakes. We choose to insert words from our mother-tongues into the texts we write in Messenger, Whatsapp or anywhere else to make it more relatable. But have you ever tried writing a full text in your mother tongue without using a single word in English? The next time you do so, keep a track on it and you will notice that we often end up using English words in our sentences spoken or written in a different language. For example, words like ‘light’, ‘meat’, ‘apple’, ‘switch’, etc. These words are used so frequently in our speech that most of us would take some time to recollect the names of these in our mother-tongues. On the other hand, there are some English words which have no substitutes in almost all our languages, like ‘TV’, ‘mobile’, ‘laptop’, etc. So, we do use a lot of English unconsciously, but just have not realized it yet. Did you know, there are a dozen of words that English has borrowed from the Indian languages? Yes, you read it right! Like the Tamil ‘casa’ became ‘cash’, ‘jungle’, ‘curry’, ‘bangle’, and a lot more. Coming to English grammar, it is fairly simpler than most of our grammars. For example, most of our languages have two or three forms of addressing another person, like the Hindi “tu-tum-aap”, or the Tamil “nee-neenga”. English in this case, has just one: ‘You’. In case of gender marking, most of our Indian languages are complex. Like the Hindi “gadi chal rahi he- gadi khada he” (the car is moving- the car is standing) or the Telugu “ammai ostundi- abbai ostunadu” (she is coming- he is coming). Here, if you notice, the English translations are simpler in form and show no change in the word, whereas the sentences in Indian languages, show change in the Verb too. Case marking is far more difficult in the Indian languages compared to English. The only probable thing, we, as Indian speakers should be worried about, is the sounds of English. English sounds are far away from how we pronounce them and it often gets difficult to imitate those sounds perfectly after a certain age. The idea of writing an internationally standardized test scares us even more. However, that should not stop us from dreaming big. Our dreams and aspirations of travelling abroad is a key away. The key is a good score in the proficiency tests of English. So watch a lot of movies, stand-up comedies, political debates, or whatever interests you and keep talking to yourself to gain some confidence in English, because it is, after all, not as difficult as we think it is. How difficult is IELTS compared to PTE, TOEFL? Ever been confused about whether to choose between IELTS, PTE, TOEFL or any other similar test? We, as most humans, choose things easy for us, the shortcuts of life. And so, you might hear a lot of things from a lot of people. Take all of it into perspective and then choose on your own. While IELTS, being almost 3 decades old, is widely accepted across all universities, organizations, countries and continents, PTE is yet to root itself in most places, with its restrictive acceptance, only in the countries of Australia and New Zealand and some organizations of Canada, UK, Brazil and Spain, etc. While PTE is entirely computer-based, and thus, has its own pros and cons, IELTS is still a pen and paper test, which has its advantages because we, through the Indian Education System, are accustomed to learning and writing pen and paper exams. There is a lot that goes around about the PTE Speaking test, all of which is true. The PTE Speaking test being computed by a software, though a boon for introverts, has its own shortcomings. The software being fed only with the native English accents of the UK, USA, Australia and New Zealand, often fails to recognize most of the Asian accents and thus scores very low. On the other hand, the IELTS English test, being a face-to-face interview with an examiner, is more tolerant to accented English and thus, chances of scoring here are always higher. Moreover, the speaking test often involves a lot of distraction. Why? While you are recording your voice through the microphone, a lot of other of other candidates around you are doing the same and thus, creating a lot of noise which leads to distraction. In an ideal PTE Writing test scenario, one is supposed to read, make notes, organize and type all at once in about 10 minutes. That itself is a big challenge. To add to it, the Writing section has more than one item of the same question type in the question paper. For example, two Summarizations and 2 Essays or 3 Summarizations and 1 Essay, etc. No matter, since how long, have our professions defined us and how fast we think we type, making mistakes in an exam scenario is always probable. And to make it worse, the lack of text suggestions or predictive texts and spell checkers make it all the more difficult to track our mistakes. With no time for revision, we end up submitting those mis-typed answers and lose marks for it. However, being taught to write things down since our childhood, careless spelling mistakes are always less probable in IELTS. Try it by yourself! In terms of questions, PTE does not specify the number of questions in each section. For example, you might be asked to write one essay, two or three. Thus, one must be prepared for a dynamic question set. IELTS, in contrast, has a fixed number of questions in each section. In the PTE Reading test MCQs, there are more than one option which are correct. This, however, gets confusing for most people taking the test because the number of options which might be correct are not specified and most of the options mean the same thing. One must beware of the penalties in this section. PTE, unlike IELTS, also involves negative marking in, at least, two question sets and thus is not very student-friendly. In the PTE Listening Test- Write from Dictation section, one has to write whatever they hear and some accents are difficult to comprehend, leading to loss of marks. Overall, though the IELTS test is an orthodox grandma, strict with her rules and traditional in her approach, we as foreign language speakers have a higher chance of scoring than the casual, contemporary, practical PTE.